This ultrasound examination is performed to determine the number of fetuses present and to ensure the pregnancy is in the correct place, and not in the Fallopian tubes known as an ectopic pregnancy. 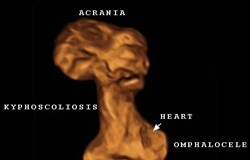 The baby’s heart is fully developed by 6 weeks and by 7 weeks it should be seen on ultrasound. Not every woman recalls the date of their last menstrual cycle or may experience irregular periods. Measurements are taken of the baby to determine the gestational age and the expected due date. Remember only 2% of babies are born on their due date! Due dates can vary by a few days every time a scan is done, that is because babies grow at different rates. 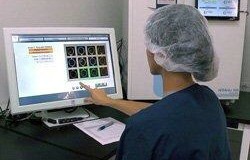 Remember that each ultrasound machine is calibrated differently too. Down syndrome is a chromosomal abnormality and during 11 – 14 weeks certain features can be visualized to determine the risk associated with this abnormality, such as measuring the back of baby’s neck. The age of the mother also plays a role in the associated risk. An invasive test such as Chorion Villus Sampling (CVS) or amniocentesis (amnio) is the only way to confidently rule out any chromosomal abnormalities. Abnormalities associated with the spine, brain, face, heart, stomach, kidneys and limbs can be excluded. The best time for this anomaly scan is between 20 and 24 weeks. Measurements of baby’s head, abdomen and thigh bone are taken and the weight of the baby is estimated to ensure the baby is growing well. Baby’s movements and the amount of amniotic fluid around baby are assessed. 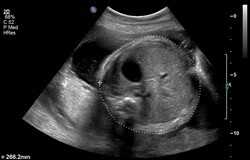 With the use of colour Doppler the blood flow to the placenta and the baby can be seen. The placental position is important to exclude placenta praevia. It is difficult to give one an accurate length of baby, as often they lie curled up. For those who hate surprises and can’t wait to find out if it’s a girl or a boy, you are in luck, as ultrasound can determine the gender as early as 12 weeks depending on how baby is lying, but definitely by 16 weeks. 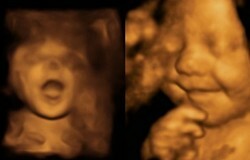 Technology has come a long way to provide parents with a 3 dimensional image of their unborn child. Although dependent on how baby lies, seeing his/her face is an awesome experience. 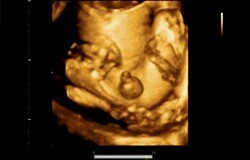 A 4 dimensional image (including time) has rocked the ultrasound world. So look out for that yawn or better yet a smile!